With so many options in the world of acrylic paint, it can be intimidating knowing where to begin…let seasoned instructor, Carl Oltvedt, show you the way! Carl will review the basics of materials, color theory and techniques to give you a solid foundation in the principles & practice of acrylic painting. More advanced applications will also be discussed as the class progresses. This class is perfect for those new to acrylic painting, as well as those with experience that need guidance or a catalyst. Class fee includes all paint, medium, and some materials for in class shared use. A complete list of materials and artist email contact will be provided for course registrants. 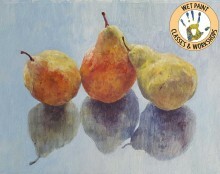 With the introduction of water soluble acrylic paint in the 1950’s, artists began to discover the wonderful range of expressive potential inherent in it: drying chemically inert, not being resoluble after the paint film is dry, quick drying, both thin glazes and opaque applications possible (including heavy impasto), and not requiring the use of toxic solvents were some of the major advantages cited. Since the original introduction, artist color manufacturers such as Liquitex, Golden, M.Graham, Holbein and many others have continued to work on developing new formulations, mediums and adding new pigments to the colors available for artists to choose from. Golden has a line of Open Acrylics, which dry over the course of several hours. This gives an artist the opportunity to work with the paint in techniques normally thought to be exclusive to oil colors. Carl Oltvedt has recently relocated to Minneapolis following his retirement from teaching at Minnesota State University, Moorhead, where he was a Professor in the School of Visual Arts for thirty-two years. During that time, he was the head of the Drawing program and also taught painting and watercolor courses. He has been a visiting artist at regional schools, as well as at the Glasgow School of Art and Duncan of Jordanstone College of Art in Scotland. He is currently represented by Groveland Gallery in Minneapolis, where he has been exhibiting his work since 1978, and, more recently, Ecce Gallery in Fargo, ND. Previously, he has been represented by galleries in Chicago, Detroit and San Francisco. 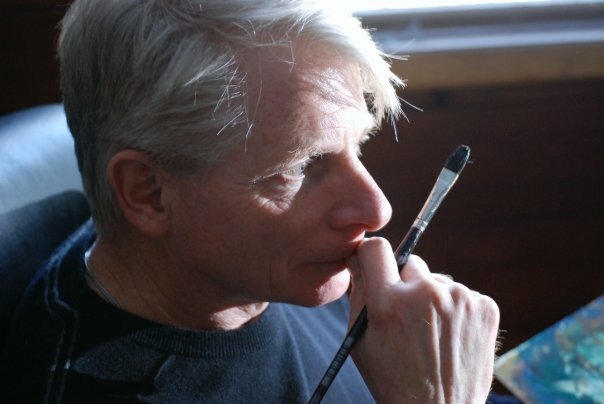 Additionally, his work is included in numerous public, corporate and private collections including the Honolulu Academy of Arts, the Minneapolis Institute of Art, the Minnesota Historical Society, the North Dakota Museum of Art, the Rourke Art Museum, and the Plains Art Museum. He received Minnesota State Arts Board awards in 1991 and 2014, and a Lake Region Arts Council/McKnight Fellowship in 2002.